This week, I got this wonderful present from my fiancée. 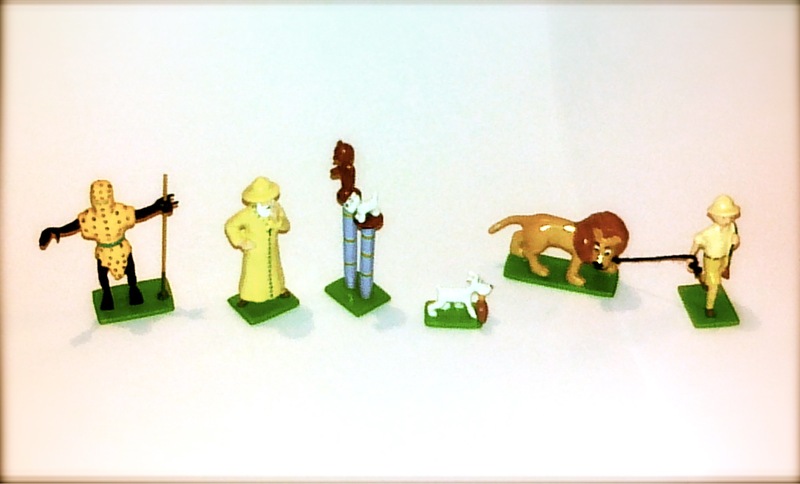 It’s a collector edition set of six figures from the comic book “Tintin in the Congo” (sorry for the picture, does not do them justice). Knowing that, according to a Belgian court ruling made public last week, these are not racist – will make them appreciate them even more ! Esta semana mi prometida me ha regalado este maravilloso set de coleccionista con seis figuras del cómic Tintin en el Congo (perdón por la foto, verdaderamente no les hace justicia). Saber que, de acuerdo con la opinión de un tribunal belga conocida la semana pasada, no son figuras racistas – me hará apreciarlas mucho más !